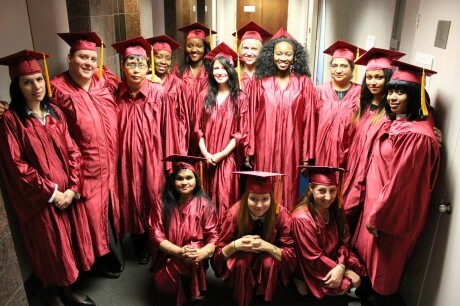 On November 28, Working Skills Centre celebrated the commencement of the 2012 Medical Reception, Administrative Assistant with Desktop Publishing and Office Clerk diploma program graduates. Amongst friends, family and WSC Staff, the evening began with the march of Graduates followed by a singing of the National Anthem. Master of Ceremonies Elizabeth Graham-Rowe opened the evening with words describing what it is like to be a part of WSC. “Working Skills Centre has become a home away from home for students like me. The strong support and encouragement from the staff has lifted the spirits of the students and has made all of us feel welcome and capable to succeed in today’s work force and economy”. The evening progressed with musical performances by Kiesha Pourjamshidi, Elizabeth Graham-Rowe, Francis Prisciak and a poem read by Stacey Martinez. Joanne Jeffers, Medical Reception Graduate, provided an exceptional speech to the current graduating class about her own personal journey. Francis Prisciak also shared his story and encouraged the graduates to stay with their dreams as he had (he is now employed using the skills acquired at WSC). The graduates were presented with their diplomas and the festivities continued with the ceremonial cake cutting and raffle draw for great prizes provided by volunteers and graduates. Honey Crossley, Executive Director, provided closing remarks and thanked the volunteers who engineered this event. WSC wishes all of its 2012 graduates the best of luck in their future endeavors. More than 50 volunteers were actually involved in making the day a great success, including a group of local youth from Dixon Hall who assisted with setting up all the tables and displays, performers from different cultural groups, chefs who prepared tastings of international food and speakers from community agencies. “The Regent Park Food Partnership (Dixon Hall, Christian Resource Centre, and the Salvation Army) sees this as the first of many activities to introduce urban agriculture as a vehicle to bring different cultures together” said David Reycraft from Dixon Hall, a spokesperson for the partnership. Many of the residents of Regent Park come from agricultural backgrounds around the world and food products and sharing food naturally bring people together. James Kuhns from CRC and Olivia Rojas from the Regent Park Community Health Centre organized and lead garden tours to show residents the different cultural gardens throughout the neighbourhood. The garden tours were enhanced by an opportunity for a small group to view the roof top garden at 1 Cole Street. Sean Brathwaite , expanded on the natural connection between growing good food and nurturing positive community relationships. Also amazing was the support of Daniels Corporation through the contributions of coordinators Katherine Faria and Heela Omarkhail, both of whom worked with the planning group and secured support for the festival. As well, Chris Klugman, owner and chef at the Paintbox Bistro was pleased to be involved and to contribute to the day opening the café and providing tasty treats. The food was overwhelming as 7 community residents, all certified food handlers, provided samples of international fare, including, Elephant Ears, Spring Rolls, Dahl, Chowley, Tea Eggs, Pakora, and Murukku. In all, over 500 were in attendance, including adults and children of all ages. The children enjoyed an area coordinated by ArtHeart with face painting, puppet makings, puppet shows, and mural drawing. Tim Svirklys organized a team of volunteers who set up all the supplies and organized the activities. Adults attended seminars on diabetes and healthy life styles, henna healing, a sensory garden (an idea coordinated by Elizabeth Bristoll, from Spruce Public School) to learn about different herbs, a composting display, and a display by the first post office where they could try writing with a quill pen. Karen Boucher, a volunteer put the event organizers in touch with the Native Women’s Centre and Council Fire resulting in native dancers performing at the Harvest Festival. The Aboriginal community is part of the Regent Park fabric and the inclusion of this group greatly enhanced cultural awareness of those in attendance. The Daniels Spectrum is an amazing setting for a community event lending itself to this variety of activities. Artscape is to be thanked for providing the venue and the support personal, including an AV technician. There is hope that the Regent Park Food Partnership will be able to have a Spring Planting Festival and that these events celebrating the growing season will continue for many years to come. There are many neighbourhoods throughout Toronto where multicultural interaction can enhance the community. On February 1, 2012 Employment Ontario announced that it would no longer be funding 14 Practice Firms throughout Ontario. In spite of great success in assisting Internationally Trained Individuals (ITI) to secure employment in their fields, these programs were seen as expensive and therefore not cost effective. WSC’ Practice Firm, a virtual supply chain business, was established in 2005 and since that time had provided employment preparation to over 500 ITI in six sectors: IT, HR, Administration, Finance, Sales and Marketing, and Supply Chain Management, including Warehousing, Material Management, Inventory Control, and general supply chain functions. The program at WSC was unique as it had introduced SAP implementation projects in Finance, HR and Supply Chain. WSC is pleased to announce that the SAP implementation and end user work experience is continuing as an independent initiative, lead by qualified mentors who were working previously with the Practice Firm project. 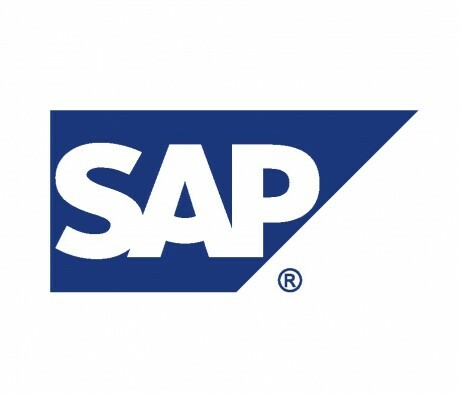 The new SAP programs include 4 weeks of training followed by4 weeks of practice application. While operating as a fee-for-service initiative, in the first 6 months, 20 individuals have completed the program and several have already been hired within weeks of completing the practice experience. “Staying on the leading edge is critical,” says Executive Director, Honey Crossley, “if we are to assist Internationally Trained Individuals to obtain work commensurate with their training and experience from their home countries.” SAP FICO (Financial and Control), SAP HR, and SAP Supply Chain is available to newcomers and Canadian born candidates who want to secure employment and need to upgrade their skills and understand this technology. or simply fill in the information request box on this web site. On September 19, 2012 WSC held its 34th Annual General Meeting. Chaired by President Gail Johnson Morris, information about the year’s activities was presented by Honey Crossley, Executive Director.